A highly fluid political situation has been developing in the West African state of Burkina Faso after an elite military unit seized power on September 17, just weeks ahead of a scheduled national election on October 11. Prior to the declaration of a military coup, the interim President Michel Kafando and Prime Minister Isaac Zida were placed under house arrest. The interim president was released after several days while protests erupted over the attempt to halt the upcoming poll. The former head of the intelligence division of the Presidential Security Regiment, Gen. Gilbert Diendere, was placed at the command of the coup regime which called itself the National Council for Democracy. Diendere was a close collaborator of the former leader Blaise Compaore who overthrew and assassinated Pan-Africanist and Socialist head-of-state Capt. 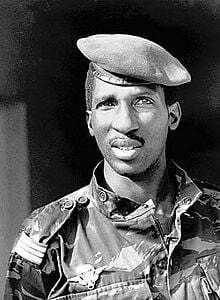 Thomas Sankara, after he ruled the underdeveloped former French colony during 1983-87. In late October 2014, hundreds of thousands of workers and youth stormed the parliament in the capital of Ouagadougou ousting former military dictator turned politician, Blaise Compaore, a staunch ally of France and the United States. Compaore fled to neighboring Ivory Coast while a compromised interim government was established to prepare for internationally-supervised elections in October 2015. A team of mediators deployed to Burkina Faso by the Economic Community of West African States (ECOWAS) announced on September 20 that a compromise had been worked out to resolve the crisis. Senegalese President Macky Sall said that Diendere would step down in exchange for the participation of Compaore in the October elections. Also the regiment was demanding a declaration of amnesty preventing any future attempts to prosecute them for crimes against the Burkinabe people. Over the course of the most recent coup, 10 people have been killed and over 100 injured. However, Diendere was not present at the press conference where the ECOWAS meditation team’s negotiated agreement was presented to the media. Speculation mounted that the regiment leaders would seek to cling on to power prompting plans for a march on the capital by the broader military forces backed up by political organizations opposing the coup. Later on September 20, Diendere said that he would remain in power until after the elections were held. This statement set off the opposition forces who expressed their determination to drive the coup leaders from the capital. Reports said that pro-coup elements led by the regiment attempted to storm the hotel where the talks to resolve the crisis were being held. Other military elements within the broader army became restless recognizing the potential for further unrest. Members of Balai Citoyen involved in the mediation were among those attacked by masked presidential guard soldiers who burst into the Leico Hotel earlier in the day on September 20, as they waved assault rifles, pistols and shotguns. Nonetheless, the British Broadcasting Corporation (BBC) reported on September 21 that Diendere had said that he would relinquish power after all. Rumors circulated that the coup leader had gone into hiding. This military seizure of power led by the Presidential Guard Regiment in Ouagadougou was clearly carried out to halt the national elections scheduled for October 11. In recent weeks the interim authorities agreed to disband the regiment after the seating of a new government which would emerge from the electoral process. The conditions for the elections and the interim government would never have been implemented without the mass rebellion in October 2014 that toppled the former military regime in civilian clothes headed by Compaore. During the course of the unrest that created the conditions for the expulsion of Compaore, thousands of youth wore shirts and carried banners with the image of Sankara, evoking the revolutionary anti-imperialist period of the mid-1980s. Much concern has been voiced over the effectiveness of the regional mediation team after several days passed and the ECOWAS delegation had failed to end the crisis. The African Union (AU) subsequently imposed sanctions on the coup leaders. In theory, the AU rejects all undemocratic seizures of power throughout the region and is mandated to work towards the restoration of civilian rule. In response to the domestic and international outcry there was an announcement on Sept. 18 that the interim president had been released from detention. 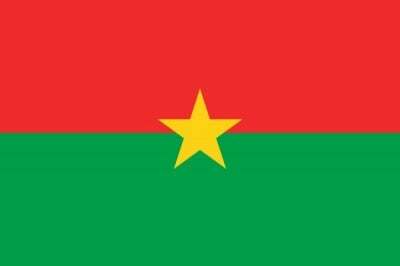 Burkina Faso, a former French colony, has been a base for intelligence and military operations coordinated by Paris and Washington. A gold producing state, it has remained one of the poorest countries in Africa and the world. Diendere worked closely with the U.S. Pentagon in recent defense maneuvers known as Operation Flintlock. Burkina Faso has served as a hub for the U.S. Africa Command (AFRICOM) so-called “anti-terrorism” operations in West Africa. Rinaldo Depagne, the West Africa Project Director for the International Crisis Group, described Deindere as the “J. Edgar Hoover” of Burkina Faso. Saying the coup leader was a master of intelligence, information, organization and control. Despite Compaore’s overthrow in October 2014 and the difficult relationships with the transitional government that took over after the ousted leader, Diendere continued to participate in “counter-terrorism” operations in Chad. France and the U.S. have maintained an official position of being in opposition to the coup although they have worked closely with its leader over the last several years. 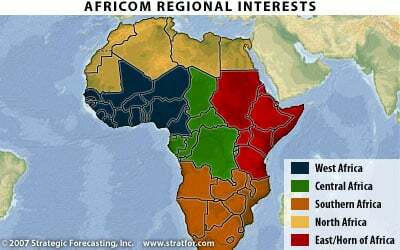 AFRICOM under the Obama administration seeks to establish partnerships with African states and their military forces in efforts to minimize the size of the number of U.S. troops on the ground in the region. Nevertheless, the administration has pledged to deploy over 3,500 troops throughout Africa. An example of such collaboration between AFRICOM and imperialist-dominated regimes on the continent is the current project which is building a fence on the borders between Nigeria and Niger.